Networks, virtually in any domain, are dynamical entities. Think for example about social networks. New nodes join the system, others leave it, and links describing their interactions are constantly changing. However, due to absence of time-resolved data and mathematical challenges, the large majority of research in the field neglects these features in favor of static representations. While such approximation is useful and appropriate in some systems and processes, it fails in many others. Indeed, in the case of sexual transmitted diseases, ideas, and meme spreading, the co-occurrence, duration and order of contacts are crucial ingredients. During this talk, I will present a novel mathematical framework for the modeling of highly time-varying networks and processes evolving on their fabric. In particular, I will focus on epidemic spreading, random walks, and social contagion processes on temporal networks. 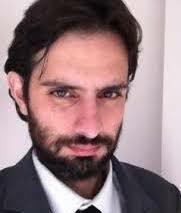 Nicola Perra is currently Senior Lecturer in Network Science in the Business School of University of Greenwich. He joined the University in August 2015. From 2014 to 2015 he was Associate Research Scientist at Northeastern University, Boston USA. From 2011 to 2014 he served as Post-Doctoral Research Scientist at Northeastern University, Boston USA. From 2009 to 2011 he was Research Associate at the Center for Complex Networks Systems Research of the Indiana University in Bloomington, USA. He holds a PhD in Physics from the University of Cagliari, Italy. He has teaching experience in the areas of Physics, Mathematics, and Network Science. His research has been published in 45+ peer-reviewed journals, conferences, and books chapters receiving 2046+ citations (Google Scholar). He is the editor of the book Social Phenomena: From Data Analysis To Models (Springer, 2015), and the organizer of several workshops on human dynamics, social modelling and temporal networks hosted in major international conferences in Physics, Network Science, and Computer Science. He has been elected in the council of the Complex System Society. He has been elected in the steering committee of the annual conference as well as in the executive committee of the Complex System Society. He has been invited to review grant proposals from the National Science Foundation (USA), the Netherlands Organisation for Scientific Research, and the National Science Centre (Poland). He is an active referee in about 20 journals in different fields ranging from Physics to Mathematical Biology. He has been invited to be a Program Committee member of about 20 international conferences and workshops on Complex Networks, Computer Science, Physics, and Mathematical Biology.